Eighties pop band A-ha marked the 25th anniversary of their debut album with a special concert at London's prestigious Royal Albert Hall. The Norwegian group performed Hunting High And Low in full for the very first time to a highly appreciative, multinational audience of different age groups, at the sell-out gig last Friday. It preceded their Ending On A High Note farewell tour planned for later this year. The group scored international hits with The Sun Always Shines On TV and Take On Me two decades ago. Following a break in the 1990s, the band reformed in 1998 after being invited to play at the Nobel Peace Prize concert. Their 2009 album, Foot Of The Mountain, charted at number five in the UK and marked a return to their synth-pop roots after a period in which they recorded guitar ballads. 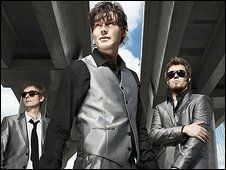 Decked out in dark suits and white shirts, band members Magne Furuholmen, Paul Waaktaar-Savoy and lead singer Morten Harket appeared rather sober at first. They were accompanied by the Oslo Philharmonic Orchestra which suited the grand surroundings. Guitarist Furuholmen said before the concert: "The Royal Albert Hall has always been one of our favourite places in the world to play." "To perform here one final time - and play our first album in its entirety, now, at the end of our career... this will be a very emotional moment for us all." 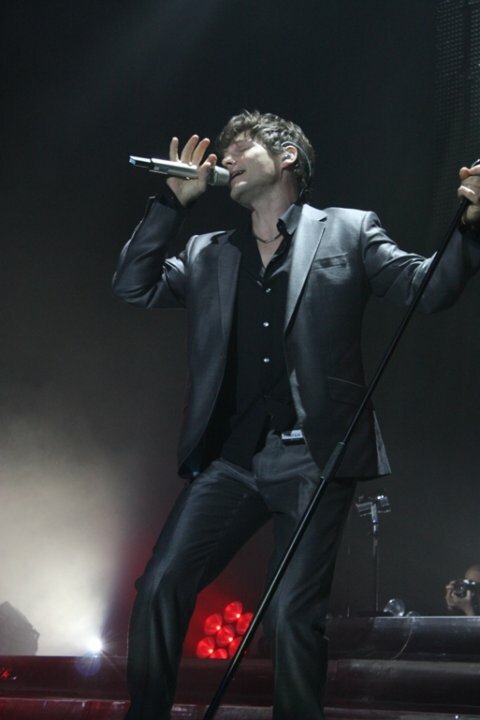 A-ha opened the show with their era-defining hit Take On Me, to a rapturous reception from the audience. The Royal Albert Hall resounded with cheers and heavy thumping and the crowd was overwhelmed that the band had kicked off with everyone's favourite A-hA hit. After an electrifying rendition of Hunting High and Low, Furuholmen joked, “As the actress said to the bishop, please concentrate, we’re only going to do this once." Lesser known tracks like And You Tell Me and Love is Reason seemed equal to the more popular numbers. After a short break the band returned to perform their second, rock- inspired album Scoundrel Days. Heart-throb Harket was largely silent when not singing. He moved around the stage smiling enigmatically. Scoundrel Days’s downbeat closing song Soft Rains of April had its final line strung out: the soft rains of April are…over. And it was over. A-ha finished without an encore and only a few bows but managed to exude an aura of maturity and professionalism. The performance of their first, successful album remained true to the original arrangements. There was no attempt by them to reinvent their music - with its history firmly embedded in the often ridiculed eighties - or themselves. And after 25 years the fans still love them.